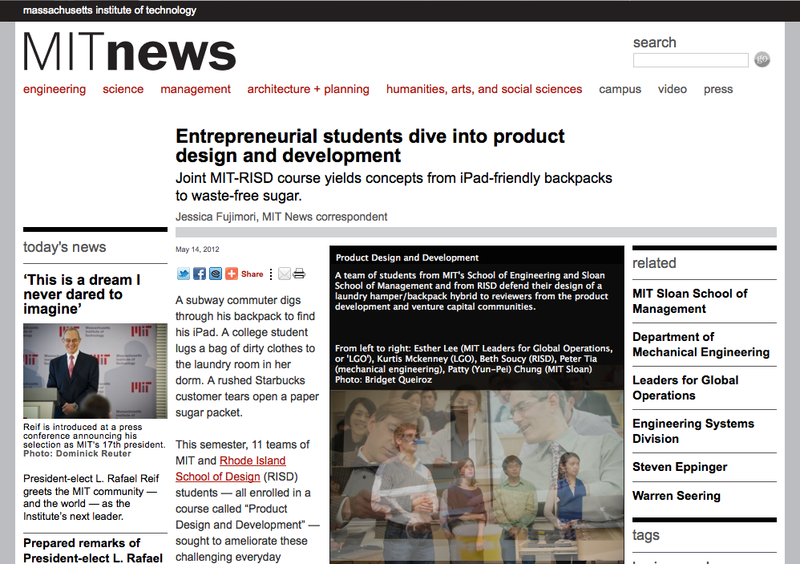 We made the front page of MIT news yesterday. The product design and development class at MIT held its final presentations last Saturday. I was a part of the tablet computer backpack group the writer mentions at the beginning of the article.